Nights out with friends can be great experiences. Maybe you and your buddies are planning to hit the clubs in order to dance and meet new people. Or maybe you're planning to watch a big ball game, an awesome concert, or do some other fun and memorable thing. When you plan these nights right, you're going to have a blast at whatever event or thing you're going to. Sometimes though, one of the weak spots of a night out is when people are still making their way to rendezvous points or the main venue. Public transportation can be inconvenient or annoying. You might have to crowd into a train crammed with dozens of other commuters. You might get jostled or bumped around. You could lose your phone or have it stolen. You've got the same problem with cabs. Sometimes there isn't one that's around when you need it. Or the cab might be dirty, dingy or smelly. It's just the kind of thing that can drain a person's mood even before your nights out have begun. And there are also problems with bringing your own car. If you're the designated driver for the group, you have to keep your eyes and focus on the road while the people in the back and beside you are having fun. That's not such a great position to be in. The drive might be long. It might be raining or too cold. And then, when you finally arrive, you'll have to drive around looking for parking. Also, if there are a lot of you, you won't all be able to fit in one car so you might need more cars, or some people might have to take the train. Finally, if you're the designated driver, you can say goodbye to drinking beer, wine or other liquor during your nights out. Now, just imagine how much better everything can be if you choose to get a limo for your nights out. You don't have to worry about getting tired while driving or having to chase a cab down. Instead, you and your friends can wait in the comfort of your own homes, or in a nearby pub, for the arrival of your own stunning-looking personal limo. You'll have your own limo driver to worry about all the transportation-related stuff. This leaves you free to drink, eat and make merry the whole night long. Then, there's the fact that it's a limo that you'll be riding in. That means a whole lot of space for you, your friends and any new friends you make that night. You'll be sitting pampered in luxury while you make your way from point A to point B. And you know that you'll be making a big entrance wherever you go. So do yourself and your friends a big favor, and make sure to hire a limo for your next big night. You're going to enjoy your nights out much, much more. This is something that we can help you with because we offer a wide array of limo types and sizes to choose from. 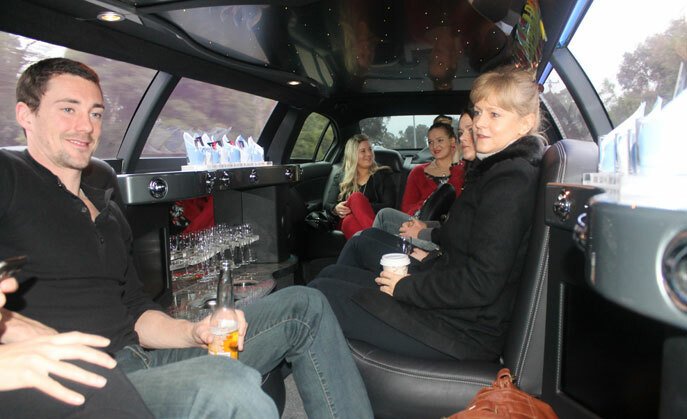 Whether you need to seat six people or sixteen, we're going to have limos that are perfect for you and your group. Our chauffeurs and drivers are professional and efficient, and the interiors and exteriors of all our vehicles are polished, clean and luxurious. But at the same time, we also offer our services at affordable prices, that won't break the bank. So get in touch with us right away, so that we can start preparing for your next awesome nights out.